An ambitious and terrifying follow-up to Prometheus, ALIEN: COVENANT is a big win for Ridley Scott and company. Where do we come from? Who created us? Why are were here? These are the questions Ridley Scott was interested in exploring when he returned to the universe that launched his career with Prometheus. A lofty and respectable goal to be sure. That film had a bit of an identity crisis, though. It was as if Scott started off making a spiritual successor to Alien committed to exploring big ideas, only to awkwardly switch to full-blown prequel mode. When it seemed that Alien: Covenant was going to fully embrace both from the jump, I was a little worried. But to my surprise Scott pulled it off, and the results are spectacular. Set 10 years after the events of Prometheus, Covenant begins with a colony ship (with 2,000 colonists in stasis) traveling to a new home. A sudden cosmic wave damages the Covenant, forcing the ship’s android Walter (Michael Fassbender) to wake the crew early. The captain is killed in the chaos, leaving the second-in-command Oram (Billy Crudup) and terraforming expert Daniels (Katherine Waterston) in charge. While making repairs the pilot, Tennessee (Danny McBride), receives a seemingly human signal from a nearby, ideally habitable planet. In typical Alien fashion, things quickly become nightmarish on this supposed paradise. Eventually the crew meets David (also Fassbender), the android and one of two survivors of the Prometheus. Walter and Daniels sense something off about David almost immediately, but I wouldn’t dare say more and spoil the experience. The crew of the Covenant is one made up entirely of couples, and the film smartly uses that to efficiently and effectively set up the emotional stakes in a way that Prometheus never managed. We quickly come to like and care about these people. So when they all start dying horribly, it matters. Scott’s films are always well-made, but he often seems more concerned with the craft than the human element. This is not one of those times. Covenant has very involving drama to go along with the visceral thrills. Speaking of thrills, Covenant is easily the scariest entry in this series since Aliens. The second act starts with one of the most harrowing sequences I’ve ever seen in a mainstream film. The violence and gore are off the charts, with several genuinely shocking and upsetting moments. There are stretches of the movie that are unbearably tense, at near corridors of the Nostromo levels. Ridley Scott’s craftsmanship has always been beyond reproach, so with modern tools at his disposal Scott has been doing incredible work recently while making it look effortless. Covenant is no exception. This film is impeccably made and visually stunning. Scott’s frequent cinematographer Darius Wolski does a great job setting the mood for wonder and terror as the movie calls for it. The visual effects are staggeringly gorgeous in Covenant. Scott always utilizes them expertly, but there is some truly breathtaking work on display here. There are a pair of scenes where Walter and David are interacting that is simply put mind-blowing. If I didn’t know better, I’d swear that Fassbender has an identical twin. The man-in-suit, practical Xenomorph from Alien is perfection but I love the updated CG creations in Covenant. It allows the Xenos to do new things to terrify us in new ways, while respecting Giger’s masterpiece of design. The performances are great across the board. Waterston is fantastic as always, giving Daniels enormous depth and complexity. McBride also does very good work, and it’s good to see him do a non-comedic performance in a mainstream film. But the real stand-out, as is common for him, is Fassbender. He plays Walter and David so differently that it’s never distracting. His dual performance is one for the ages. In some ways, Covenant has just as much in common thematically with Blade Runner as it does with Alien. As it deals with themes of existence, humanity, and legacy. To really delve into the huge ideas explored here, would require spoilers as well as several more viewings. But I will say that Scott and the writers were able strike a remarkable balance between the philosophical science-fiction and intense horror. The film is not perfect. There are a few pacing issues and some questionable character choices, both of which may stand out more on re-watch, but they are minor nitpicks. Alien: Covenant is the movie I was hoping Prometheus would be. It’s exciting, scary, smart, and thought-provoking. I can’t wait to see where the story goes from here. 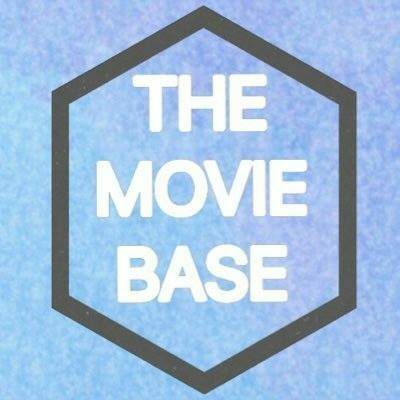 PreviousWelcome to The Movie Base!